The term 'Exam Stress' can be broadly defined as a feeling of anxiety over one's performance in the exams, the results and reaction of parents and friends; all weigh upon students to create exam stress. Many students find themselves weighed down by expectations. Comparisons, parental expectations and peer pressure are major concerns for students attempting their board exams. 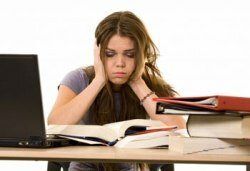 These concerns bog students down, leading to severe examination stress. 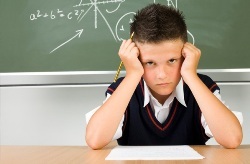 Exam stress is most apparent in children when they feel they have to ‘prove themselves’ and display their year’s work in the pressured situation of a one or two hour exam. Lost appetites, under-confidence, nervousness, anxiety and even depression are no strangers to the youngsters who are conditioned to look upon the exams as the be-all. Not a year goes by without the media reporting a number of suicides and suicidal attempts by children as young as 14 to 17 due to the fear of the boards, or their poor performance in the same. Small wonder then that the stress inflicted upon these hapless students has become quite a concern for parents, schools and society alike. The youngsters primarily undergo stress due to two factors. The first is the hype that surrounds the board examinations. While they are no different from the dozens of exams the students have already undertaken during their school life, schools, teachers and parents approach the boards with apprehension akin to fear and this in turn seeps into the students. From the time students enter Class IX, teachers start mentioning their boards looming large next year. Once in Class X, the pressure is relentless, with continual pressure for improved performances in time for the boards. This attitude is also reflected by parents, who view the boards with trepidation as a good score in Class X alone can ensure admission into a subject stream of choice. For Class XII students also, their score is paramount to gaining entry to the various further studies they aspire to. Hence, the overarching importance of these exams, every school's endeavor to achieve a good result and each parent's desire for their children to do them proud combine to create a tremendous amount of expectation pressure on a youngster. The media plays a part in taking this pressure and beaming it into the minds of millions of people, who may have otherwise remained unaffected, thus creating a self-sustaining cycle. The second cause of stress is the students' inherent belief in their own capabilities. Given the hype and pressure created, it is easy to start doubting one's own capacity. Coupled with immense amounts of peer comparisons, large amounts of curricular material and long, continuous periods of focused study, stress generation is inevitable. Students continually study and memorise large amounts of information. Then they undertake practice examinations, in which circumstantial factors can affect outcomes. One minor mistake or poor performance and the student lose confidence, especially if comparisons are made with other classmates. During exam times parents start nagging their child and even if they do not say anything, the vibes that they send across adds to the stress-level of children. Parents, being more experienced, should refrain from stressing children and support and encourage interaction with friends, have fun with them, prevent them from overworking and encourage them to take small breaks. Parents, who are naturally concerned about their children and their future, suffer from exam stress almost as much as their offspring. This stress is transmitted back and forth between parents and the child, in a vicious circle. According to psychologists, parents who, instead of providing emotional support to their children during exams, push them into an unhealthy rat race need guidance. Parents want their children to excel in everything since they consider it a matter of status symbol. They often tend to satisfy their unfulfilled dreams through children, failure of which causes frustration. Some fear their parenting would be labeled a failure if the child does not score well in exam and get extremely worried. Rather, they should be able to generate a 'we-are-with-you' feeling among children, especially during exams. To counsel is to advice. Individuals seek advice in a variety of situations. It is evident that from the earliest times man has turned to his fellow beings for advice, encouragement, sympathy, comfort and understanding. In everyday life, we find counseling goes on at many levels- in a family set-up parents counsel their children, in society doctors counsel patients, lawyers clients, teachers students etc. 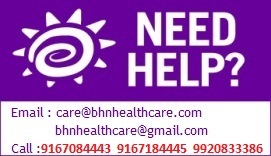 Counseling is its essence a “Helping relationship”. If your child is facing an exam phobia, what he needs is your help and not a counselor as experts believe that parents are the best help a child could have to cope with stress and examination anxiety. How parents can help their children deal with exam stress, experts say that they should be supportive without being overbearing. For starters, parents ought to confront their own fears. There is the overwhelming thought that one has gone through so much to bring the child to a particular level. What if he or she doesn't perform? The fees outside are so high what if the child doesn't make the grade? They should understand that an exam is only a stepping stone, not the be all and end all. Often, parents feel that they can do nothing to reduce the exam stress and fear in their child. However, as a parent, they have several ways through which they can help their child–and themselves–pass through this stressful time. The first thing they need to do is to talk to their child. Choosing a good time and a good place to talk is important in making sure this conversation goes well and your child doesn’t feel defensive. 1. As a parent, pay special attention towards your child and encourage him/her to overcome their worries and gain confidence to go through their exams successfully. Having someone to talk to about their work can help. Support from the parents can help children air their worries and keep things in perspective. 2. Parents should not show over-attention and keep over-expectations. Always be affectionate, supportive, and a study partner in their academic activities. Parents should keep things in perspective. They must listen to them, give support and avoid criticism. Before children go in for a test or exam, parents must be reassuring and positive. After each exam, encourage the child must encouraged to talk through with the parents. So that the focus can be move on the next test, rather than dwelling on things that can’t be changed. 3. Take time, spend with your child, and reassure that you are always with him/her to support and encourage. 4. Concentration must be given on the nutrition, as it can influence more on exam stress in the child. So, a balanced diet with lots of fruits and vegetables and low fat, low-sugar, and low-caffeine foods that increase memory power should be planned according to the food choices of the child. 5. Also, it must be ensured that the child is sleeping well for about 6-8 hours. This helps in increasing the thinking and concentration power of the child. 6. The child must be reminded that nervousness is a common phenomenon for every student. The child must be explained that nervousness can make him/her lose confidence and the key is to set these nerves to activist use. 7. Parents must focus on their kid’s activeness. They must encourage their child to follow an exercise routine, as it helps enhance their energy levels, ease stress and increases concentration and memory power. 8. A little entertainment - a daily doze of this in reasonable amounts helps to refresh the mind. Entertainment like TV, a small outing, walks or even a bit of playtime makes for a good re-charging of the mind and body. 9. Never set rules for studying; parents must allow their child to go with his/her schedule while studying. Instead, they may assist their child in drawing up a regular study time schedule. 10. Most importantly parents must not add stress and pressure; they must be a good listener and listen to them, give support and stay away from criticism. 11. After completing an exam, parents should discuss about the paper and encourage their child to move ahead, focus on the next test, and do better in the coming exams. Also, encourage them to concentrate on the next test rather than thinking on the finished exam that no one can change. Stress and its alleviation is an intensely personal issue. Each individual has different ways of coping with stress. If a student is able to consciously accept that he/ she is stressed, and also communicates this to his/ her parents, then the process to easing stress has already begun. Exams are serious business, sure. But do your best, and forget about the rest; look at things in a broader perspective. Parents first realize and then convince their children that Board examinations are just one milestone among the many that will be faced in life, and should be viewed and accepted as such, without unnecessary physical or mental trauma.